Defense Minister Liberman establishes task force dedicated to passing haredi draft law. Defense Minister Avigdor Liberman announced that he has formed a special task force dedicated to drafting a new law regarding the drafting of haredi men into the IDF and limitations on deferments currently enjoyed by full-time yeshiva students. The Equal Service bill was first passed in 2014 over the haredi parties vociferous opposition, and placed limits on yeshiva student deferments. After Yesh Atid bolted the government, leading to new elections and the formation of a new Likud-led government in 2015, haredi MKs pushed for the passage of new legislation restoring the exemptions for yeshiva students. However, the High Court of Justice ruled last summer that the exemptions granted to haredim are discriminatory against the communities who do not receive exemptions, giving the coalition a year to legislate an alternative. While the haredi factions have drafted a proposed Basic Law which would enshrine Torah study as a "basic value" of the State of Israel and allow the government to circumvent the court's ruling and enable it to grant draft exemptions or deferments, Defense Minister Liberman is pushing for an alternative bill. 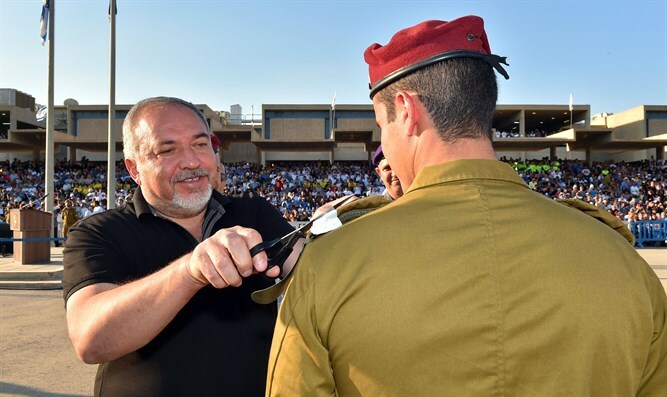 "Recruitment into the IDF is too important a subject to turn it into a political tool for gathering votes," said Liberman said, adding that "I decided that the law would be formulated by the most senior professionals in the IDF and the Defense Ministry." The task force will be comprised of Defense Ministry Attorney General Itai Ofer and representatives from the IDF's Manpower Corps and the IDF Rabbinate. "This law will be written without background noise," vowed Liberman. The move will likely infuriate the haredi parties, who have included the writing of a new draft law in their coalition agreements with the Netanyahu government, and have seen their attempts at passing their own bill repeatedly scuttled by Liberman.